In 2015 she was honored with the coveted Pacesetter Award from the Events Industry Council (formerly the CIC) and an Esprit Award from ILEA for her work in the Green Sector of Events. In 2016 she received the Event Solutions Spotlight Award for Innovation and Special Events Magazine named her as one of the Top 20 Under 40. 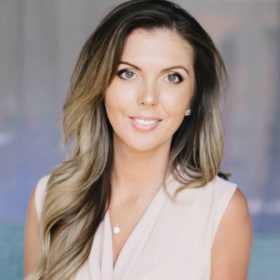 Smart Meetings named her as one of the Top Meeting Professionals of 2017 and a Leading Inspiring Woman in 2018, as well as being awarded the Top 20 Powerful Women Achievement by the Northern Nevada Business Weekly and Top 20 Trendsetter by Meetings Today.